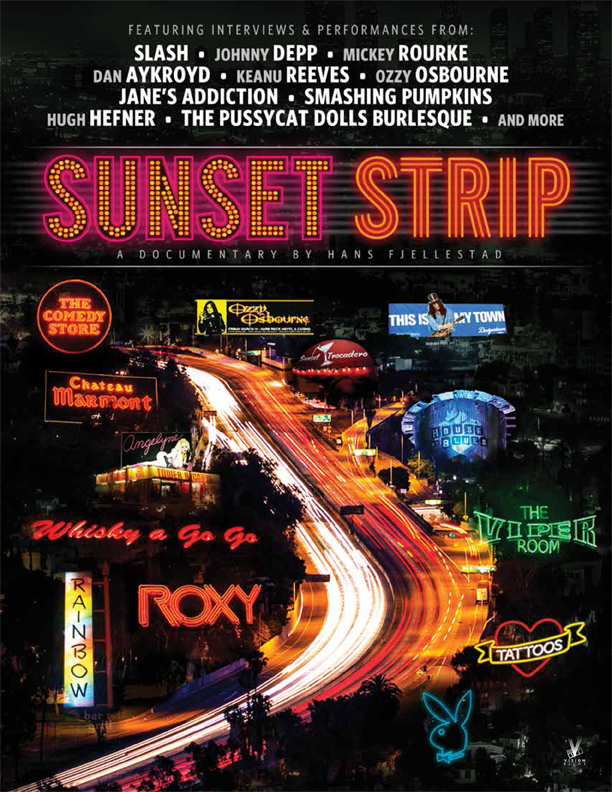 SUNSET STRIP is home to the biggest sounds, iconic images and cultural movements to echo around the world. 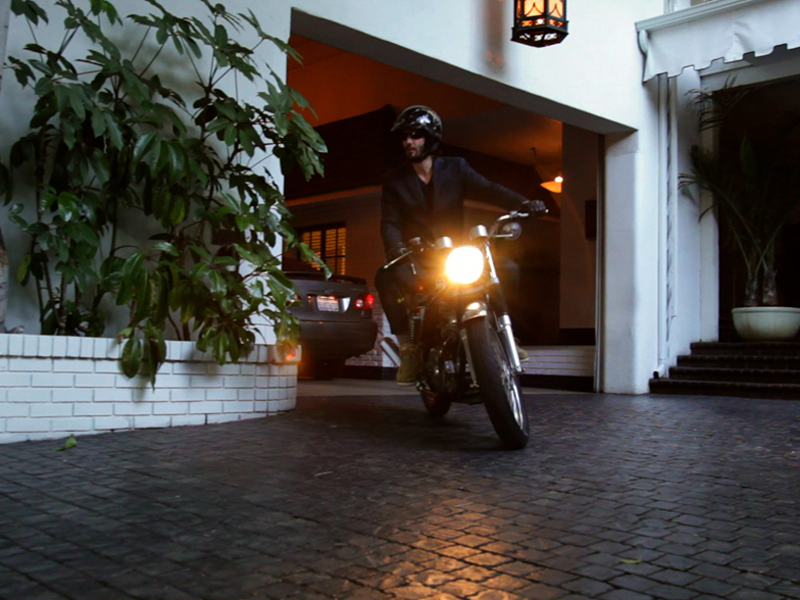 Experience the Strip from its origins in the 1920's Prohibition, to Madame Francis' notorious brothel in the 1930's, to the world-class 1940's Nightclub scene, to the Mafia Wars of the 1950's, the Teen Riots in the 1960's, to the Punk scene in the 1970's, to Hair Bands and Heavy Metal in the 1980's, Hip Hop and Grunge of the 1990's, all the way up to today’s resurgence with first class comedy clubs and establishments such as Soho House, the Viper Room, and The Sunset Strip Music Festival. 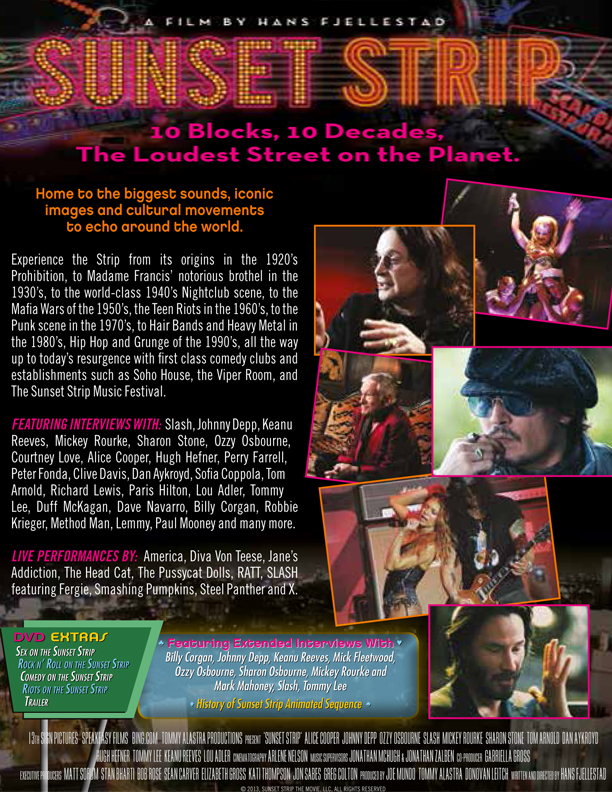 FEATURING: Slash, Johnny Depp, Keanu Reeves, Mickey Rourke, Sharon Stone, Ozzy Osbourne, Courtney Love, Alice Cooper, Hugh Hefner, Perry Farrell, Peter Fonda, Clive Davis, Dan Aykroyd, Sofia Coppola, Tom Arnold, Richard Lewis, Carmen Electra, Paris Hilton, Lou Adler, Tommy Lee, Duff McKagan, Dave Navarro, Billy Corgan, Robbie Krieger, Method Man, Lemmy, Paul Mooney and many more. LIVE PERFORMANCES: America, Diva Von Teese, Jane's Addiction, The Head Cat, The Pussycat Dolls, RATT, SLASH featuring Fergie, Smashing Pumpkins, Steel Panther and X. 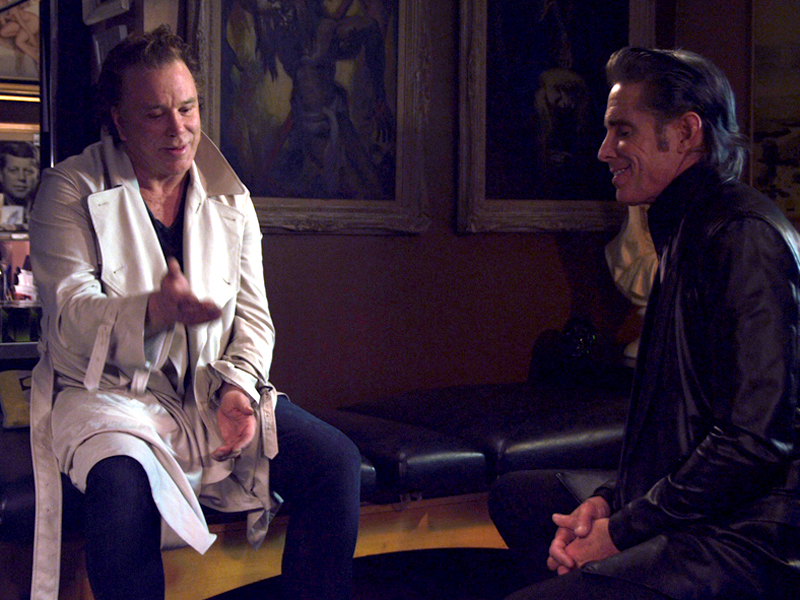 "Entertaining almost to a fault, Hans Fjellestad's Sunset Strip is, like any good denizen of L.A.'s famous drag, happy to bite off more than it should chew. The result is a dense, often delicious tour through one of pop culture's epicenters that will please on the non-fiction circuit and be a go-to resource for years to come." 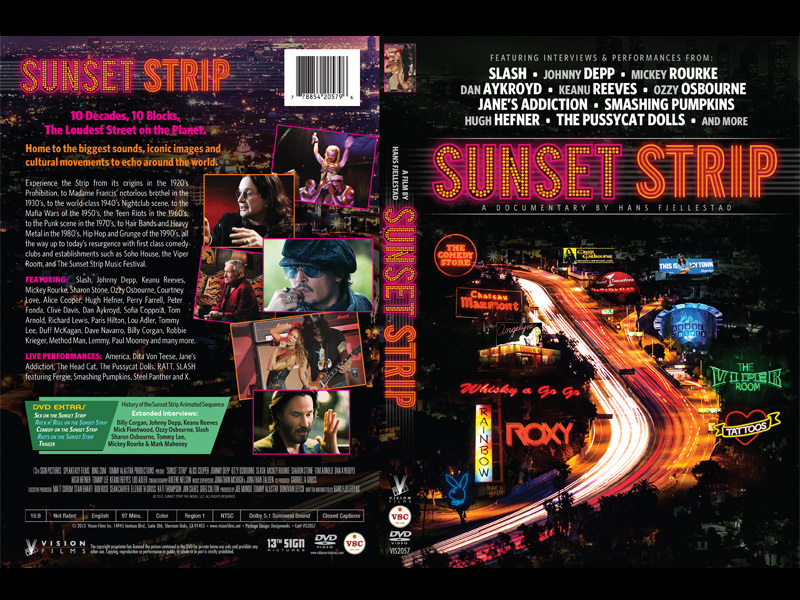 "“Sunset Strip” conjures up images of neon lights, sun-kissed exposed skin and long, druggy, rock-and-roll fueled nights. This is the conceit promised by the new documentary of the same name by Hans Fjellestad, and it (mostly) delivers, offering up a definitive history of the famed street..."